Featuring a prime location in Bolivia's capital, the Radisson Plaza Hotel La Paz offers personalized service and comfortable accommodations designed to make leisure and business travelers feel at home. 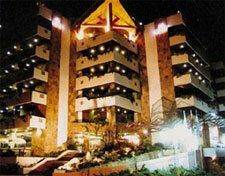 Our Bolivia hotel offers cozy rooms, convenient services, meeting space, great food and a great location. Other hotels in Bolivia can't possibly provide you with such quality amenities and accommodations. 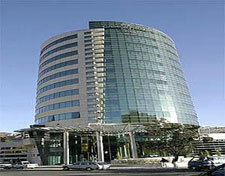 If you're searching for La Paz hotels, look no further than the Radisson. With our superior lodging, your trip will be relaxing and stress-free. A blend of art and technology in its architecture and a modern concept in guest facilities and services are part of Camino Real Suites personality. Camino Real Suites offers a first class restaurant, business center, Health Club, meeting rooms and much more, meeting the expectations of the most demanding executive and tourist traveler. It is strategically located at the heart of the south side of La Paz within the most important residential and commercial area of the city. Located in one of the most beautiful residential areas of Santa Cruz, far form the urban noise but just few minutes away from downtown Santa Cruz and all its cultural and commercial activities; Camino Real Hotel welcomes you to discover the beauty and peacefulness of its gardens that harmonize with the exotic decoration of tropical style rooms. Our modern meeting rooms, first class gastronomy, recreation areas and business center satisfy the needs of the most demanding executives. Also our spectacular swimming pool and complete Health Club combined with our dedication towards personalized service, give our guests a unique experience of enjoyment, luxury and comfort. In a genuine tropical environment perfect for mixing business with pleasure, in Los Tajibos Hotel, we think about each detail! Address: Av. San Martin N� 445. Los Tajibos Hotel offers 185 elegant and comfortable rooms with private balcony and a magnificent view to the wide gardens of exuberant vegetation, waterfalls and cascades or spacious pool. The rooms have completely equipped private bathroom, mini bar, telephone with DDN and DDI, voice mail, connection to Internet, TV cable, temperature control and energy 110/220v. 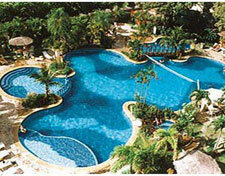 Yotau Hotel, comfortable and luxurious suites ideal for executives and families. Address: Av. San Mart�n No.7- Barrio Equipetrol. If your trip is for business or vacations, Yota� All Suites Hotel has the best infrastructure and all the Facilities to make your stay a comfortable moment. 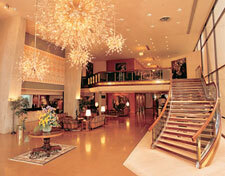 We invite you to know us and to enjoy our eight years of experience in hotel service.